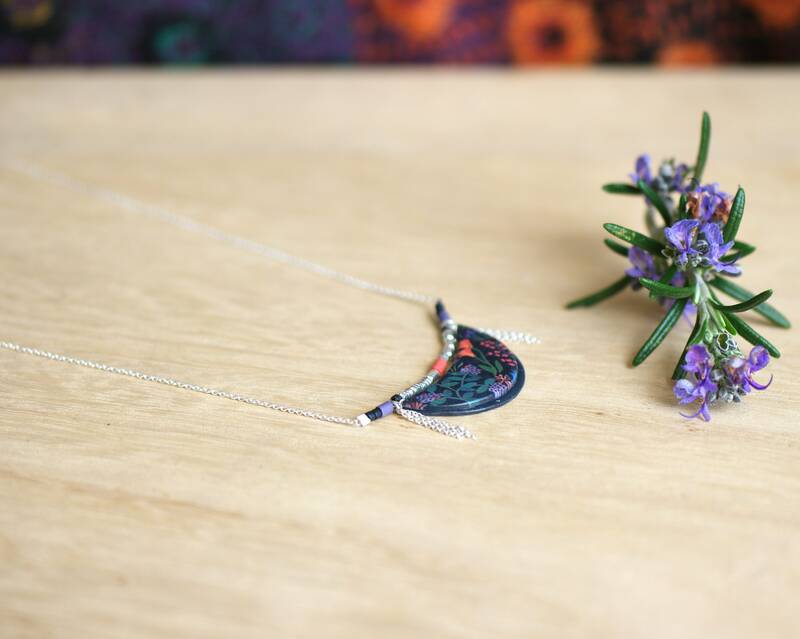 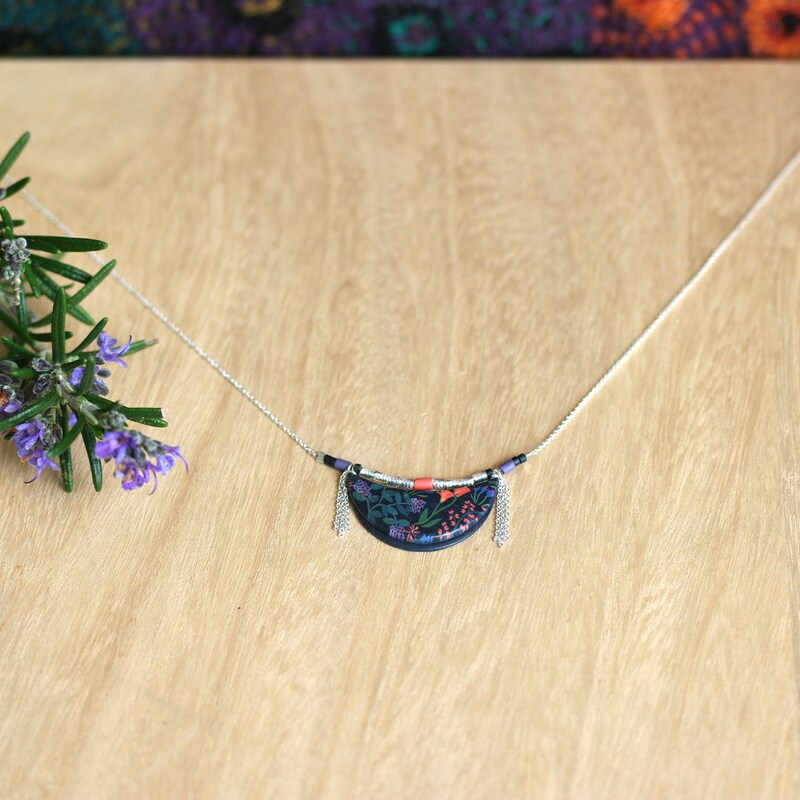 A delicate necklace made of a black pendant with botanical patterns in purple, orange and green tones. 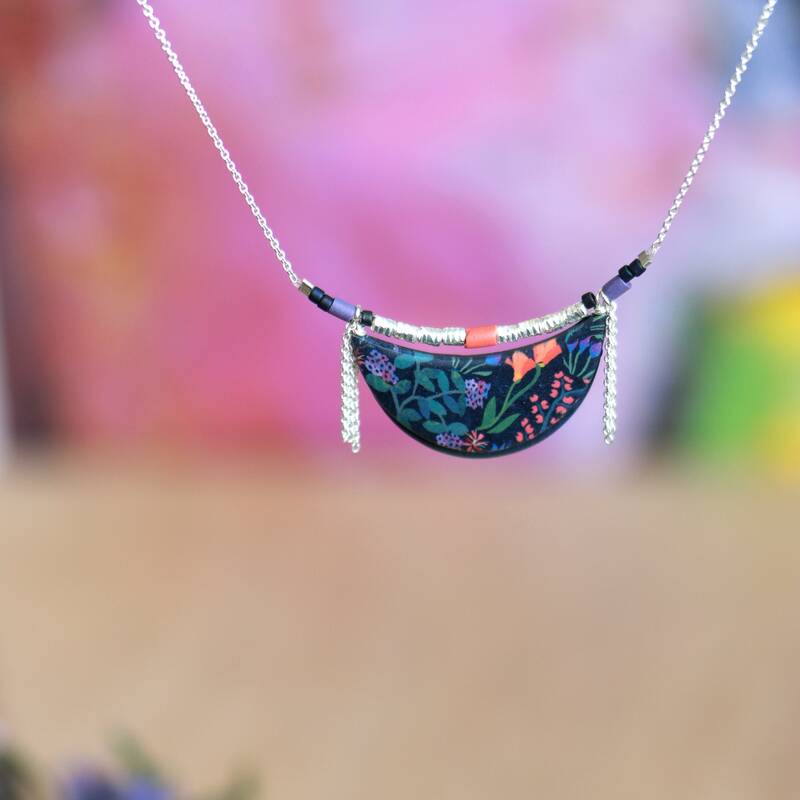 The pendant is mounted on a fine sterling silver chain and decorated with sterling silver beads and glass beads. 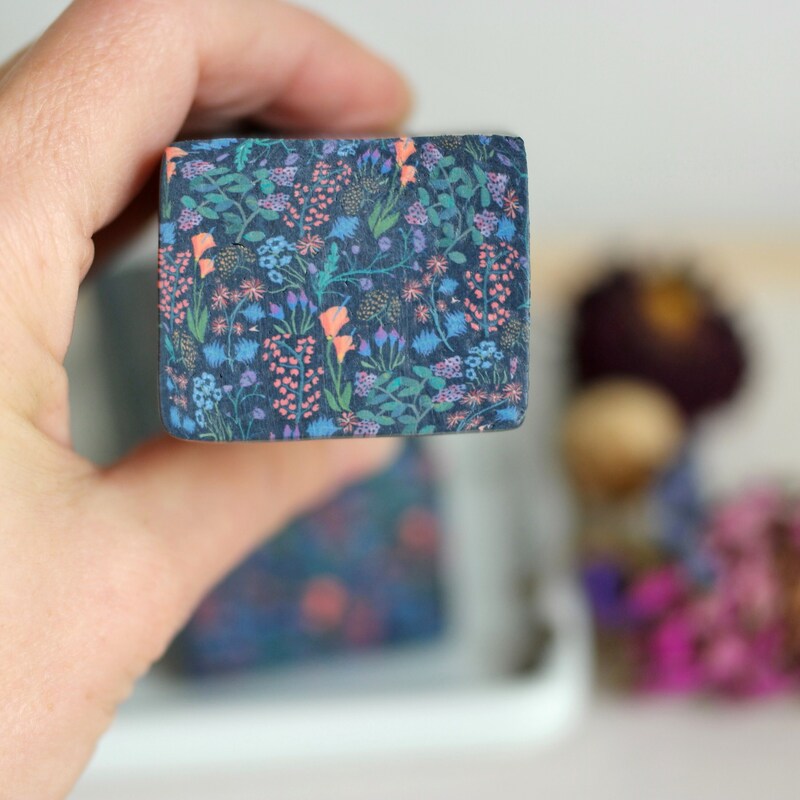 The textile-like floral pattern is entirely handmade with polymer clay using modelling techniques that I have implemented in my workshop. 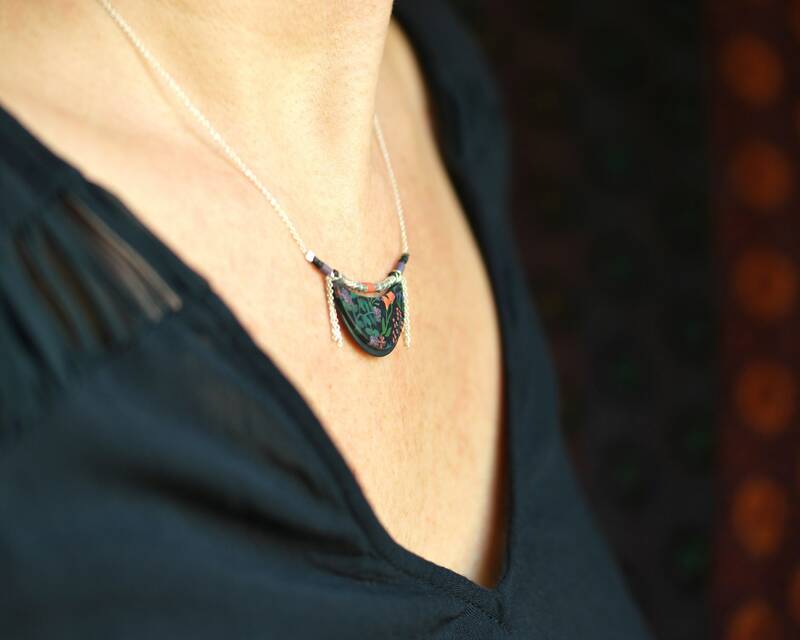 With this material, I finely shaped the pendants, that were then baked, sanded and varnished.